Giving back to your community and helping a neighbor in need is fun and rewarding. 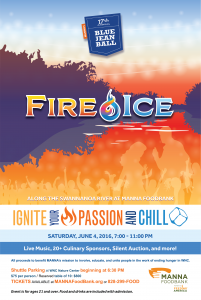 Every year, MANNA holds two annual special events – Blue Jean Ball, held on a Saturday in June, and Empty Bowls, held on a Monday in September, during Hunger Action Month. 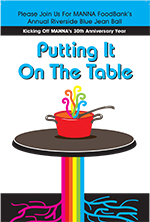 What is special about a MANNA event? You will discover friends both old and new who care about their neighbors and about ending hunger. You will also be treated to a first-class special event experience. We receive donations and support from the best restaurants, businesses, and entertainers in Western North Carolina. 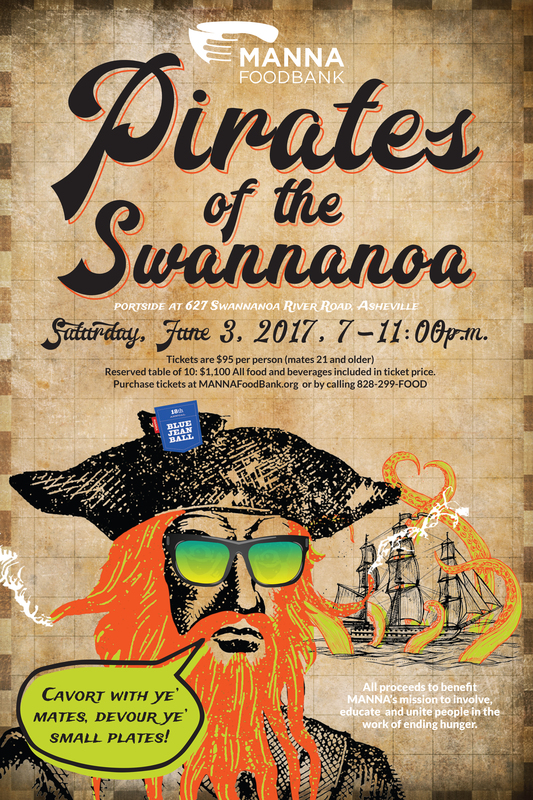 Your ticket price will go a long way to helping end hunger in our region; every dollar that MANNA receives can provide food for three meals. 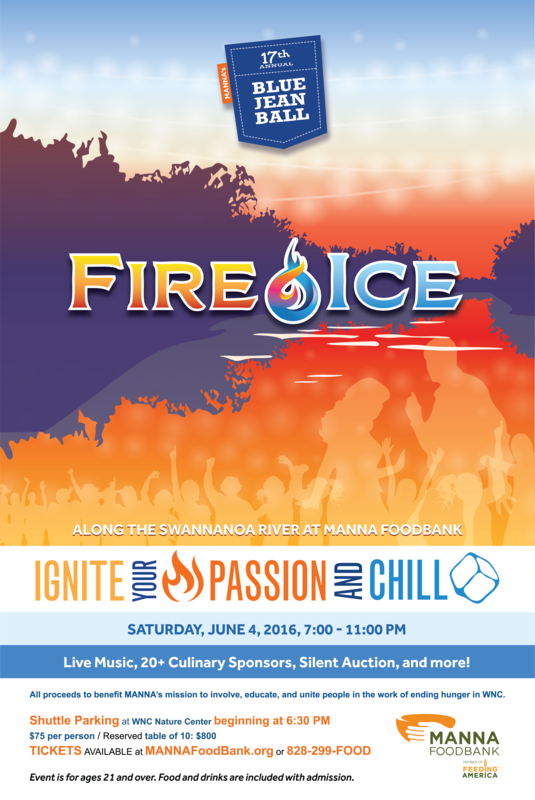 Individuals, groups and organizations hold benefits and fundraising events for MANNA year-round. If you are interested in holding such an event, please email Mary Nesbitt, Chief Development Officer. The Blue Jean Ball is held on a Saturday in June, outside MANNA’s warehouses along the banks of the Swannanoa River. Ticket holders enjoy small tasting plates from over twenty of Asheville’s finest restaurants including Biltmore, Chestnut, Cantina at Biltmore Village, Lobster Trap, Red Stag Grill, Chai Pani, the French Broad Chocolate Lounge, and many more as well as a varied selection of beer, wine, and non-alcoholic beverages. 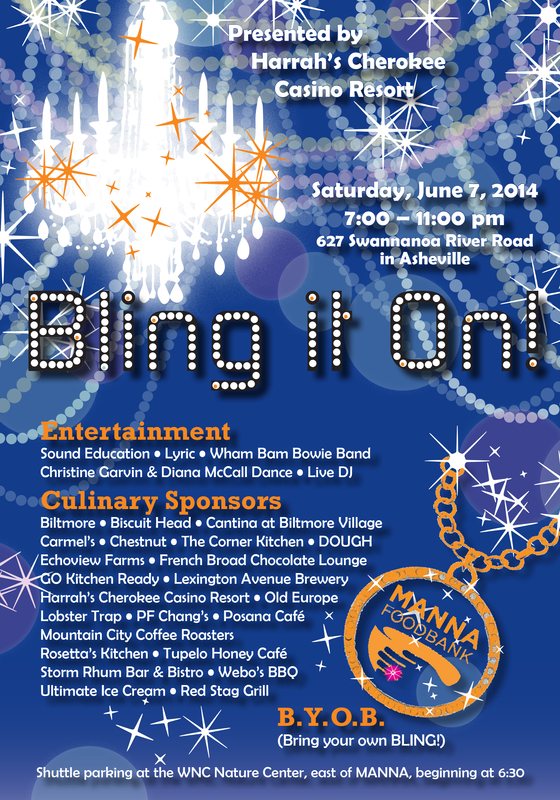 The Blue Jean Ball is MANNA’s largest fundraising event. Every dollar raised or donated to the food bank provides enough food for 3.5 meals. Current estimates in our region indicate that over 100,000 people in Western North Carolina don’t have continuous access to three square meals a day. 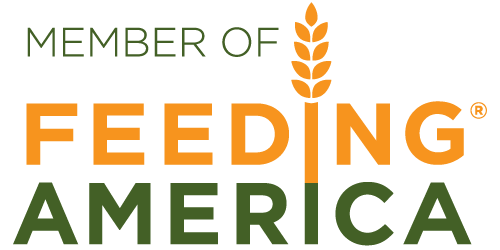 MANNA partners with 200+ agencies throughout our region to get food to those facing hunger. In 2017-2018, MANNA distributed enough food to provide over 41,000 meals a day throughout the 16 counties in WNC. 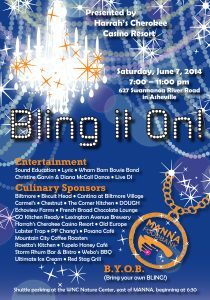 Blue Jean Ball 2014: Bling it On! 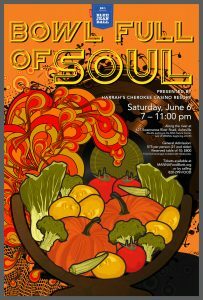 This unique and memorable event celebrates community, art, and collaboration while bringing awareness to the very real problem of hunger. Attendees choose a bowl handmade by local artisans and enjoy a meal of soup, bread, and dessert. The souvenir bowl they take home reminds them of all the empty bowls in the world. 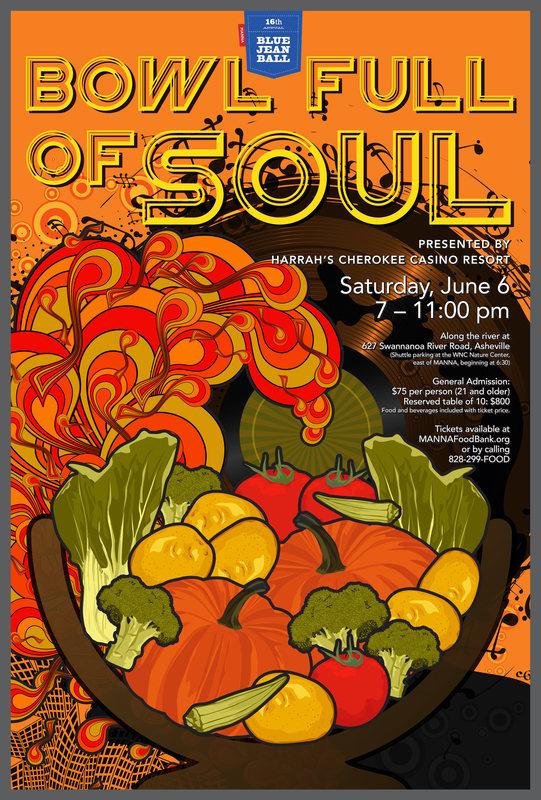 Everything for the event is donated: the soup, the restaurant space, the dessert, and over 1,000 plus bowls. This allows for all the profits to go directly toward feeding our neighbors facing hunger in Western North Carolina. In addition to the bowls that each ticket holder can select and take home, there is a collector’s corner at Empty Bowls, where special bowls selected by the artists are available for purchase. One hundred percent of the purchase price of these works of art goes to provide food throughout MANNA’s 16-county service area.